Also called the oilfield mouse, the beach mouse is a rodent that belongs to the family Crecitidae. It is up to 5 inches long with a tail of up to 2 inches long. It weighs an average of about 17 grams (0.5 pounds). Pregnant females may weigh more than this. The color of the fur coat may vary depending on the area it lives in. Beach mice endemic to coastal sand beaches are usually white in color. Those living mostly in the inland are usually darker. 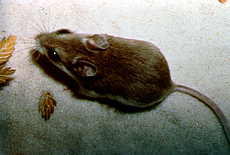 The backs of beach mice may have a wash of light brown, while their undersides are usually white but may vary in some individuals. Beach mice are mostly active during the night and are therefore nocturnal. In captivity, they have a lifespan of up to five years. Diet consists primarily of fruits and seeds of dune plants that they forage during nighttime. They may also feed on leaves, grass, wild pea, black berries and insects. Beach mice usually store food in burrows for future use. They have a love for sandy areas with shrubs or grass. They live in underground burrows during the day. They can be found in the United States in Florida, North Carolina, South Carolina, Tennessee and Alabama. Breeding activities take place all year long but more of the breeding occur between the months November and January. They are usually known to be monogamous. Females are mature for reproduction by the 30th day of their life. After conception, expectant females give birth to a litter of 3 to 4 babies after a gestation period of 20 to 25 days. A female can give birth to more than 2 litters in one year, depending on the availability of food. The female then nurses her young for about 29 days. Weaning takes place after the 18th day. Babies are usually born blind, almost hairless and helpless. The beach mouse is listed as "least concern." This is justified by its widespread distribution and having no major threats. 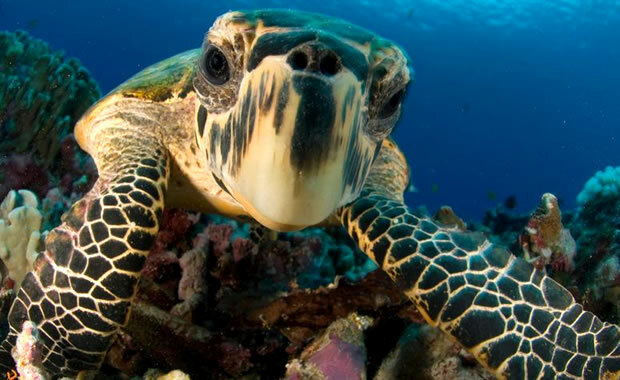 However, there is a need to reconsider this listing due to increased loss of habitat to humans as a result of expansion of recreational facilities along the beaches (the main area of occupation for the species), predation by cats and other predators, and destruction of vegetation in its habitat. Due to this fact, some of the 16 subspecies of beach mouse are either extinct, near threatened or endangered. The beach mouse is protected by the Federal Endangered Species Act. There is also a regulation against constructing facilities along the sandy habitat of the species which has helped reduce its decline to a certain extent. Copyright Notice: This article is licensed under the GNU Free Documentation License. It uses material from the Wikipedia article "Oldfield mouse". Glenn, C. R. 2006. "Earth's Endangered Creatures - Beach Mouse Facts" (Online). Accessed 4/21/2019 at http://earthsendangered.com/profile.asp?sp=722&ID=9. Need more Beach Mouse facts?